Former Arsenal winger Marc Overmars has conceded that there is nothing ‘exciting’ to say about his possible return to the club just yet, but didn’t rule it out. The Dutchman has carved out a successful career for himself after his playing days came to an end and is currently the director of football at Ajax. As per The Mirror, with a possible shake-up at the Emirates, he has been linked with the post of sporting director at Arsenal from this summer onwards, although from his reaction to the speculation it doesn’t appear as though there is any real substance behind the rumours as of yet. No official talks have taken place as noted in the report, but Ajax believe that their European counterparts are serious about a move for Overmars and so they are making contingency plans to appoint a replacement for the 44-year-old if they have to. From his perspective, although it was clear that he doesn’t believe an agreement is imminent, the former Dutch international would seemingly be open to discussing the position moving forward. “I think there is a list with some names and I might be on it. But it’s not that exciting yet. 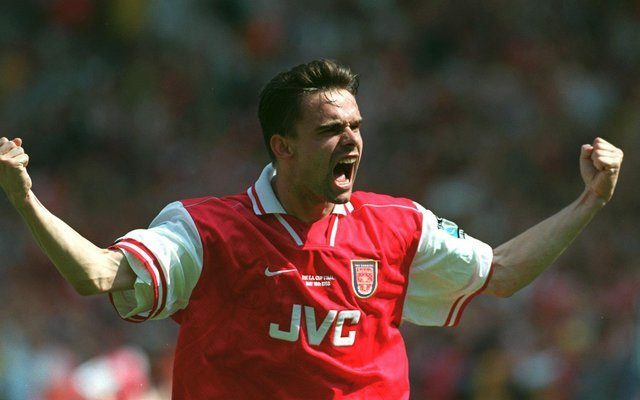 Overmars spent three years at Arsenal between 1997 and 2000, making 100 appearances in the Premier League for the Gunners while scoring 40 goals. He hung up his boots in 2009 before taking up his current role in 2012 and has been widely praised for his work at the Dutch giants which in turn has eventually sparked interest from Arsenal.